115 km north of Rovaniemi, at Luostotunturi tourist center in Uittoluosto area. 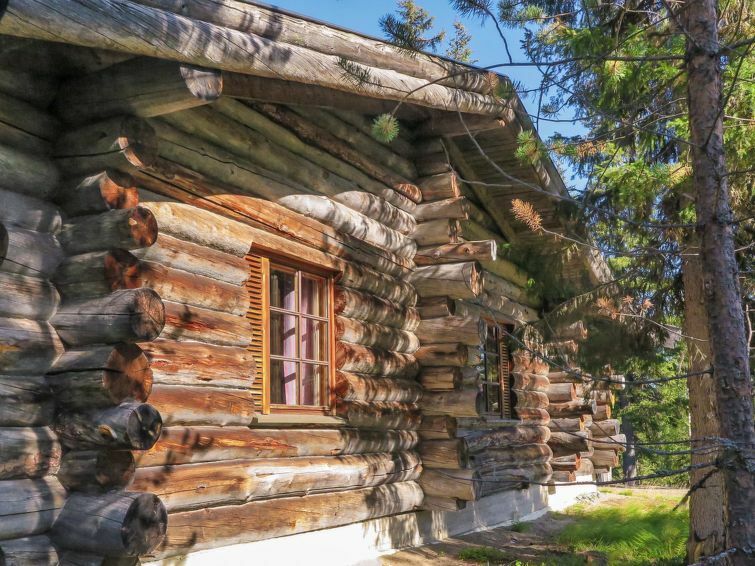 A semi-detached log house built in 1987. The kitchen-living room has a couch, bedroom with a double bed, second bedroom with 2 bunk beds, sauna, washroom, dressing room, separate toilet and storage. A television slot for pay-TV cards. Wifi-internet connection. Jätkänkynttilä is a log house in a quiet area yet close to Luosto center services. Restaurants, program services, spa and shop 1.6 - 2.0 km away. Amethyst Mine 5 km from the house.